Don't Wanna Cry? Here's How You Stop WannaCry Ransomware! As far as WannaCry Ransomware is concerned, it has bypassed almost all antivirus security tools and crept into thousands of systems worldwide within a week. Are you one of them? If not, you might be at risk as well. Many readers were asking me about “How to stop WannaCry Ransomware?” or “How to protect my system from WannaCry Ransomware?” So, on reader’s demand, I am going to show you a simple yet effective method to stop WannaCry Ransomware creeping into your system. Of course, the WannaCry Ransomware Patch has been released by Microsoft for unsupported windows systems but what if it still fails to detect the WannaCry? 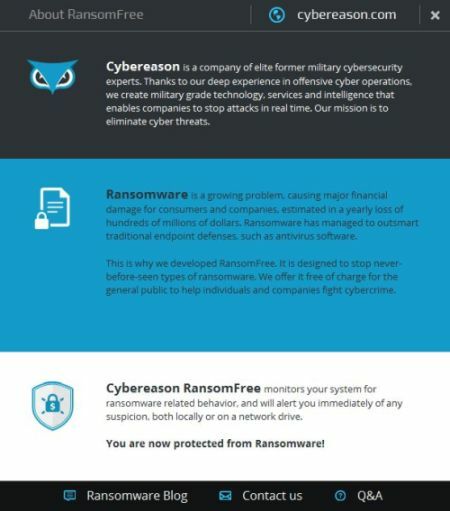 All you need to do is install the Cybereason’s RansomFree software in your windows operating system. If you are hit by any other Ransomware excluding Cerber, you can check this list of Ransomware decryptors to remove it now! 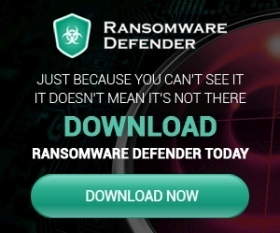 The only tool (as far as I know) capable of detecting and protecting from WannaCry Ransomware is Cybereason’s Ransom Free! All you need to do is follow the simple process below to download Cybereason RansomFree on your Windows operating system. #1. Download Cybereason RansomFree from here. #3. Once installed, leave the rest to Cybereason’s RansomFree! In addition to this software, it is also recommended to upgrade your systems to Windows 10 Pro or Windows 10 Home if you are still using Windows XP or Windows 7 after this cyber attack. Ransom Free not only detects WannaCry but it also detects all types of Ransomware. Besides just detecting, it prevents the Ransomware creeping into your system. There are no options to change the settings or set up anything in the tool. Because there’s no need for manual setting to run this tool on your Windows PC. Here’s how it looks like after installing it on your PC. It’s static without any navigation menu, unlike other security tools. It works like a charm in the background every second and lets you know if there’s anything suspicious found by RansomFree via notifications. You can go through the links provided by Cybereason in RansomFree tool for more details. Here’s the proof of Cybereason RansomFree detecting WannaCry Ransomware and blocking it right away! “I believe this is the largest, in the effect it is having,” said Lior Div, chief executive of Cybereason, a Boston-based cyber security firm. Div joined a chorus of cyber security experts that traced the global ransomware shakedown to a powerful cyber weapon developed by an elite offensive unit of the NSA that was leaked into the open in mid-April. “There is no question about it,” Div said. “We are taking unprecedented measures to help any company affected by WannaCry because we want to rid the world of ransomware and make it unprofitable for hackers. Ransomware is the biggest threat facing companies today and we’re excited to help even more companies eliminate ransomware,” adds Div. Moreover, Cybereason pledged $50 million in FREE enterprise software to any victimized company by WannaCry Ransomware attack. By this, they will help any company impacted by WannaCry Ransomware attack by giving Cybereason’s software for free! As per the reports, the local companies in Boston are safe as they were already using Cybereason before this cyber attack. And now it’s your turn to be safe! Download Cybereason Ransom Free on your PC and get protection from various Ransomwares. When you get an opportunity to protect your PC for free, you should grab it now! I am personally using it and I have never faced any security issues in my Windows 10 laptop till date. Cybereason RansomFree is the safest software to protect your PC from WannaCry Ransomware. Share this with your loved ones so that they don’t fall into a trap of any Ransomware from now on!